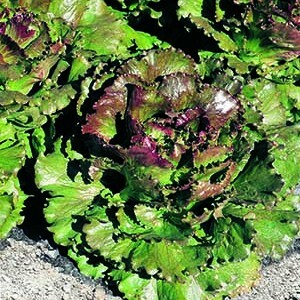 Aromatic, dark green, large-leafed variety with great flavor. High yield and dependable grower. Grown year-round in the Tower Garden. HARVEST: Clip leaves when needed. To maintain the crispness and appearance of freshly harvested parsley, store at temperatures of 32–36°F. 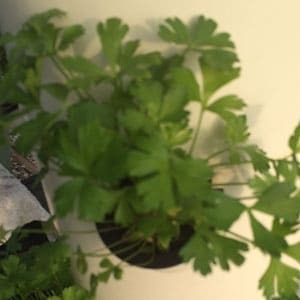 Parsley can be used either fresh or dried. To dry, wash clipped leaves and spread out shallowly on screens in a warm, airy place. When thoroughly dry, rub and store in jars. Any chance you can set up a notification when an out of stock product is back in stock? I want to place my order all at once and will wait until what I want is in stock but I have no idea how long it will be. Is there any way that we can place a one time order and once everything is available it ships out? right now our online store only allows you to order what is in stock. we are working quickly to be able to post seedlings by their plant date. meaning when we plant them you can order them and they will ship when they are ready. this is more challenging since sometimes we don’t get the results we expect.